Offered at $9,275,000, this duplex penthouse atop Tribeca’s most environmentally-conscious boutique condominium features over 700 square feet of private terraces. 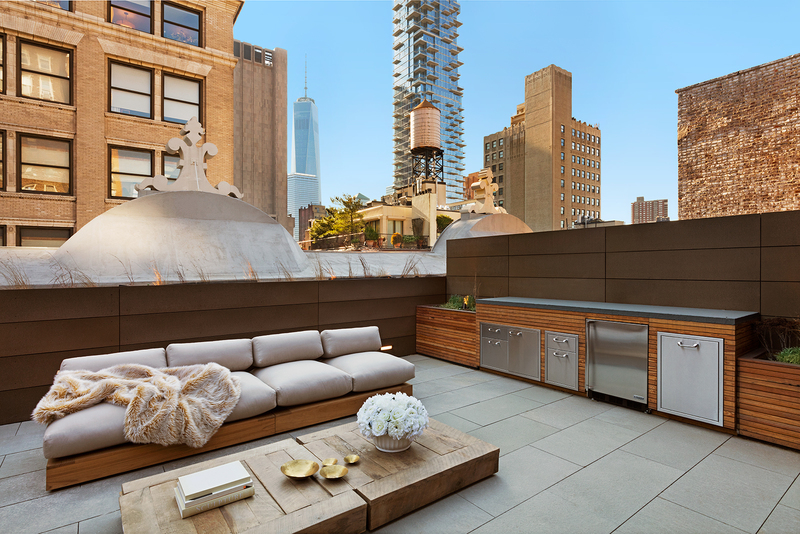 The stunning outdoor spaces boast two outdoor showers and unobstructed views of Freedom Tower. Stop by this Sunday for a tour of this one-of-a-kind penthouse in the heart of Tribeca!